I have WORK to do. Tons of editing. A particular character who acts differently in EVERY SINGLE SCENE because I haven't nailed him down. And like...an ending to write. But I've been working on this project for six months now that is seriously rad. I need a little break from this material. 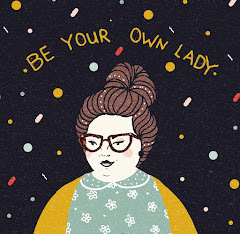 I have some articles for Be Your Own Lady that need to come to light- not in the least a write up of my Ladies Conference and a May book club pick (APRIL IS OVER WE MISSED IT I'M SORRY) and a backlog of good links for you. I also might need to rewrite some of the fanfiction that I recently found. My 14-year-old self peppered with too many Mary Sues and inflated vocabulary words, and I'm curious how it would come out if I wrote it today. Only one way to tell. Ladies, a reminder. Find what makes you shine and dull it down for no one! Never stop shouting from the rooftops how good it feels to throw yourself into something you love. Goodnight, lovelies.